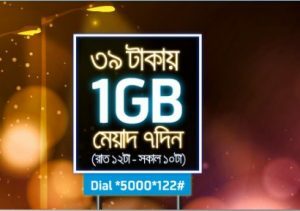 GP 1GB Night Pack Offer!Grameenphone all prepaid customers is eligible GP 1GB Night Pack Offer.All GP users can enjoy this offer in some special time. 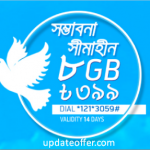 Grameenphone all times brings to their valuable customers to enjoy GP Special Internet offer. Today I will update GP 1GB internet information such as, activation process, validity and use time. The customers who want enjoy this offer or know more about this offer, please read this full article for get all information for a clear concept. To active this offer please just dial *5000*122#. Customers will be charged only TK39(Inclusive VAT+SD+SC). Users can will be use this special pack in 12am to 10 am. 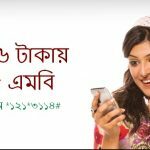 GP all prepaid customers is applicable this offer. Offer will be run until the future notice. To check your internet ba;ance just dial *121*1*4#. Know more please dial 121 GP Customer Care. 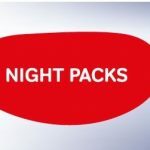 Now all GP users can enjoy GP 1GB Night Pack Offer in activation time period.Have your any question about this offer please comments the box.We will try to best to solve your problems.Thanks all GP users for visit our site and stay with us for long time.